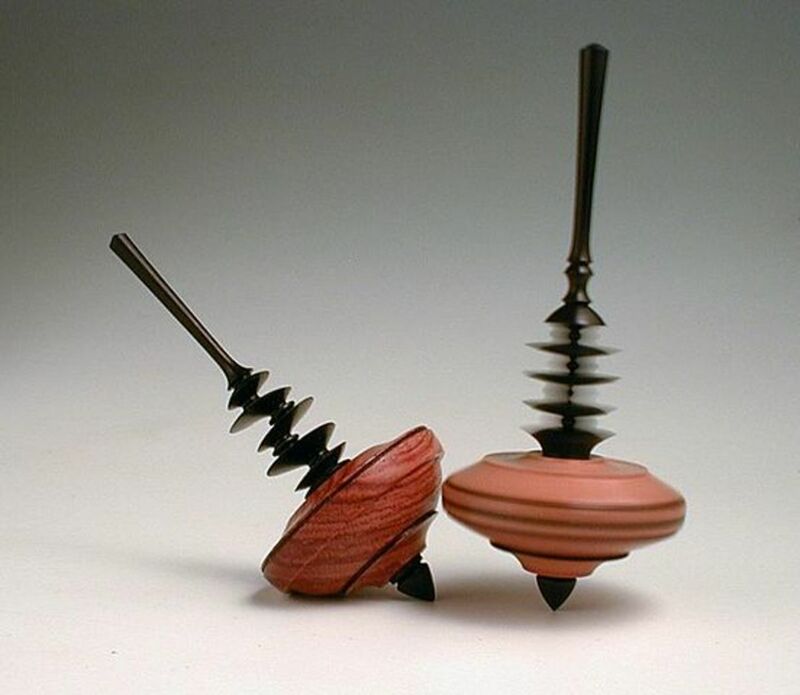 The spinning top is one of the world's oldest toys. Simple in design and concept and complex in physics, the it has kept children entertained for thousands of years. They have been found at archaeological sites around the world and are still in use in many different countries and cultures. 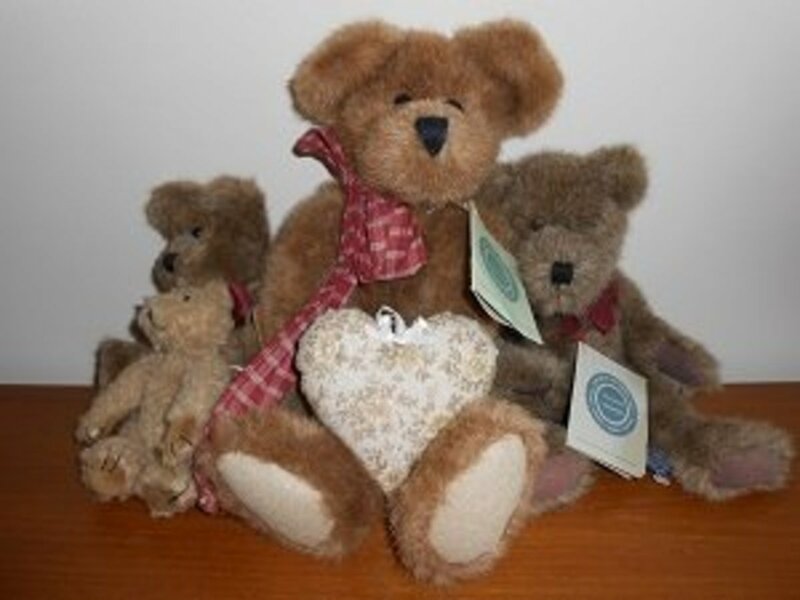 They are used as toys, in traditional games, holiday games, and even in some modern-day international competitions! Let's have a look at some of the oldest spinning tops from around the world and learn a little about their history, background, characteristics, and more. 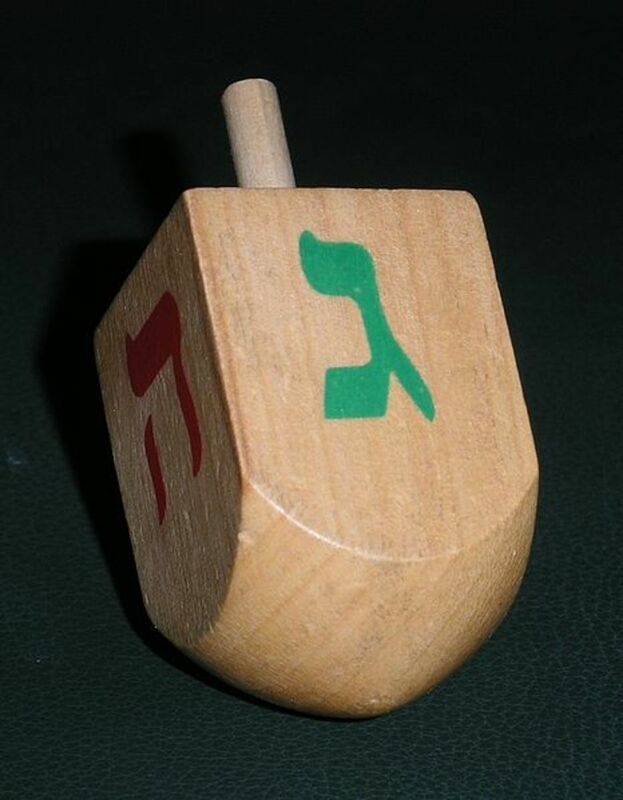 One of the world's most well-known and beloved spinning tops is the dreidel. This little four-sided top is played by Jewish communities around the world during Hannukah and has become a phenomenon in its own right! Dreidels are typically four-sided with a pointed bottom and a short stem protruding from the top. Each side bears the letters Nun, Gimel, Hei, and Shin from the Jewish alphabet. Together these letters form an acronym for the Hebrew phrase "Nes Gadol Hayah Sham", or "A great miracle happened there." 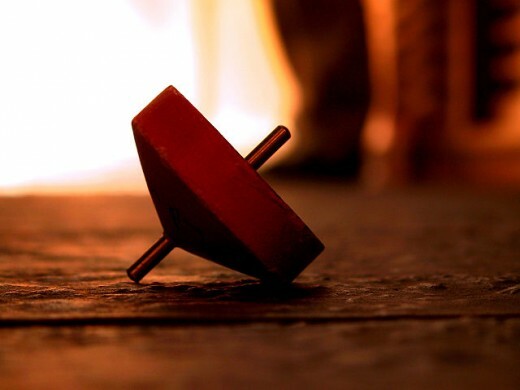 While the origins of the dreidel are relatively unknown, the dreidel is one of the most well-known Hannukah traditions, and certainly one of the world's most well-known spinning tops. Another country where spinning tops have been played for centuries is Japan. Known in Japan as koma, Japanese tops are very similar to those in Korea. They are one of Japan's most well-known traditional toys and until the past 50 years or so when Japan began to modernize, remained a very popular toy among children. It's been said that koma were introduced to Japan from China many centuries ago, where they have been played as a traditional toy for thousands of years. Koma are particularly popular in the Chubu (central) region of Japan, where craftsmen and women who manufacture koma can be found...and of course children who have never lost the passion for playing with this timeless toy! Koma range in shape from the traditional acorn-shaped tops that can be found elsewhere around the world, to saucer-shaped koma with knobs on the top. This type was the most popular kind during the Edo period (1603-1868). Other Japanese craftsmen and women have gotten creative and created unusual, one-of-a-kind koma that are made in the kokeshi doll style, or in unusual shapes such as the triangular-shaped one in the picture at the top of this hub! Other koma feature holes at the bottom which "whistle" or beep when the koma is spun. One top of koma that has been particularly popular in Japan over the centuries is the beigoma, which is a medallion-shaped top. Some consider this to be a forerunner of the modern-day beyblade, which is a popular top among enthusiasts worldwide! Beigoma are spun with a cord and often inscribed with kanji characters. These characters are often the name of a celebrity. Beigoma are also said to have Chinese origins, just like the wooden koma. Also of interest to koma fans and spinning top fans in general is the Japan Spinning Top Museum in the city of Nagoya. This museum has a collection of over 20,000 tops from both Japan and around the world! Many of these tops are centuries old. The Japan Spinning Top Museum is a must-see attraction for the aficionado visiting Japan! Top-spinning is a traditional sport and pasttime in Korea. In Korea, traditional spinning tops are known as pengi and have been played by children and adults alike for many centuries. Pengi are wooden, acorn-shaped, and spun using a rope or a wooden stick. Usually they are kept spinning by being whipped with the rope. The player(s) keep knocking it around until someone wins the game or they just get tired! Many Korean children have pengi-spinning competitions where two players try to knock each others' top out of a designated area such as a circle. Of course, many also love to see how long they can keep a top spinning on a smooth, uncluttered surface! In Malaysia (particularly in the states of Melaka and Kelantan) and Indonesia, spinning tops are known as gasing. The Malaysian and Indonesian gasing is very similar in shape and style to the tops of Japan and Korea described above. However, they are often painted with decorations that are uniquely Malaysian or Indonesian! Also, certain types of Malaysian gasing can be found across the border in Indonesia, and vice versa. In Malaysia, the gasing game is usually played by villagers after the yearly rice harvest. There are two different kind of matches played in both countries. One is the spinning contest and the other is the striking match. In the spinning contest, the person whose top spins the longest is the winner. In a striking match, a circle is drawn and two contestants spin their gasing in the circle. The one whose gasing is knocked out of the circle is the loser of the match. It should also be mentioned that in Malaysia, gasing games are often played by kids using small tops whereas adults usually play with tops that are quite large in size! One country that deserves special mention for its spinning top tradition is Indonesia because there are so many varieties of gasing across the country! Some gasing are saucer-shaped, while others are acorn-shaped, ball-shaped, heart-shaped and even cylinder-shaped with a skewer in the middle (i.e. a "potato-masher" shape)! The materials they are made from range from traditional wood to modern-day metal. Some of the ball-shaped gasing are even made from nuts! The designs on many Indonesian gasing are very fascinating! Some have traditional ethnic designs such as geometric patterns and others even have carved faces and headdresses! Others are painted in various shades and combinations of vivid color such as red, yellow, and blue, as well as traditional seawater varnishing by dipping the gasing into the sea and letting it dry. Spinning tops are popular throughout Latin America, where they are known as trompos. The trompos found in most of Latin America are similar to those in Spain, where they are also known as trompos or peonza. Trompos are pear-shaped, have a button-shaped tip on top, and a conical-shaped metal tip on the bottom on which the trompo spins. 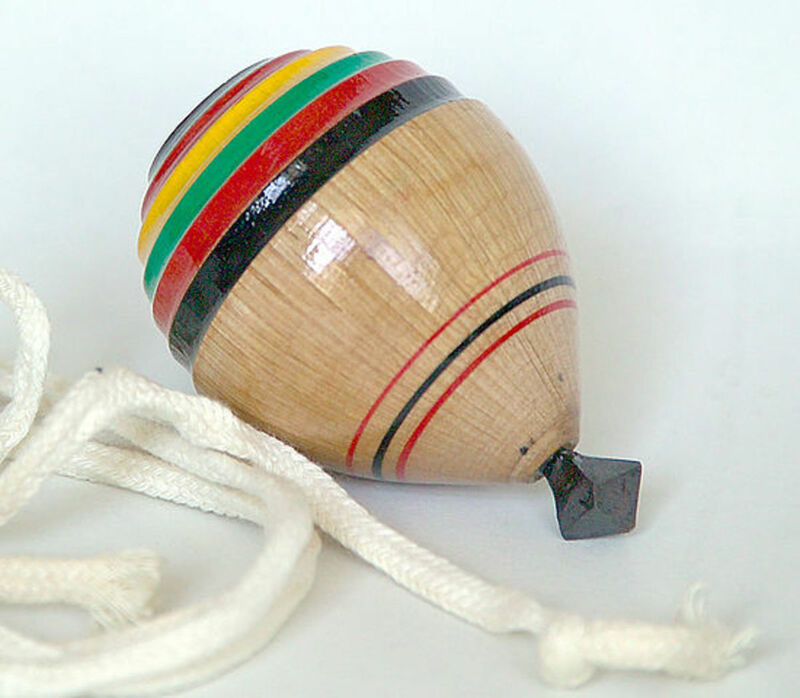 The trompo is spun using a cord, and in order for the top to start spinning, the player must wrap the cord around the trompo, knot the string through the metal tip, and throw the trompo, gradually unwinding it in the process! Once the trompo starts spinning, the player just watches until it stops spinning and repeats the process! In Latin America, trompo championships are held throughout the region. Some are held on a local level. Other are multinational, with players and teams from different countries throughout the region (and sometimes beyond) competing to be the "Trompo Queen/King"! Another country where the trompo can be found is in the Philippines, where they were imported from the days of Spanish rule. In the Philippines, they are known as turumpos or trumpos. This top has been popular for many centuries, but was especially popular among Filipino children during the 1980s when they became one of the decade's most popular games and toys. Unlike Spanish-style trompos, the Filipino turumpo has a nail-like tip and the string is not knotted through this tip before play. One country that could be considered a "capital" of spinning tops is Germany. Germany is home to all kinds of spinning tops, which are known in German as kreisel! Germany has a long-standing reputation of high-quality wooden toys, including kreisel. These wooden tops are intricately crafted and last for generations! Some are also highly innovative and demonstrate excellent craftsmanship. Some traditinoal kreisel include the standard "finger" kreisel which are spun using the fingers, the "puller" or "cord" kreisel which are spun using a cord, the "whip" kreisel which are spun with a whip, and "mechanical" kreisel which are launched using a special kind of launcher. There are also other unique kinds of kreisel, including kreisel that are wound like a clock and others that are spun by being blown on! German kreisel are also well-known for their brilliant colors and intricately-carved details, such as rings around the body that stabilize and balance the top (see right). Other kreisel are even crafted into handpainted doll-like figurines, and a few even play music! Many of these wooden tops - and the skills required to create them - were transplanted to the US and Canada in German immigrant communities. Some of these communities, such as the Amish, continue to manufacture these amazing little toys today! Some of the most unique, colorful and cutest spinning tops are those from the Czech Republic! 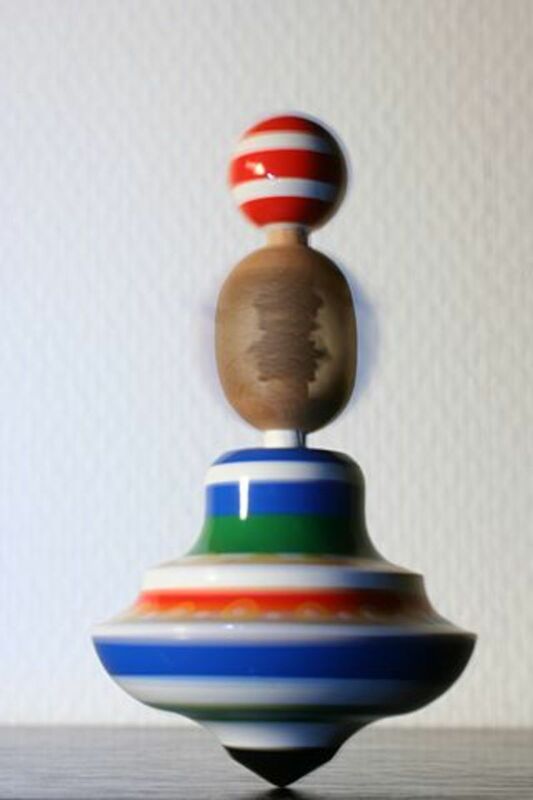 These spinning tops, known as káča, have been made by Czech toymakers for centuries. Traditional káča range from simple little tops to elaborate tops. These káča are usually cone-shaped or disk-shaped. A wooden stick handle with a little round knob on top runs through the cone and forms the tip. In between the body and handle is another wooden knob (sometimes more than one) that helps maintain balance and equilbrium. Many traditional káča such as the one on the right are beautifully painted in many different colors. Some even have figurines of people such as children crafted into the handle! In recent years plastic tops have become more and more popular among Czech children. However, the wooden káča can still be found in the toy shops of cities such as Prague, where it has continued to be a beloved toy for many! Could you please explain or show in a video how to spin traditional Czech tops? I bought one in Prague, but I am unable to spin it. I'll have to be honest with you and say I haven't had any experience with those particular tops. 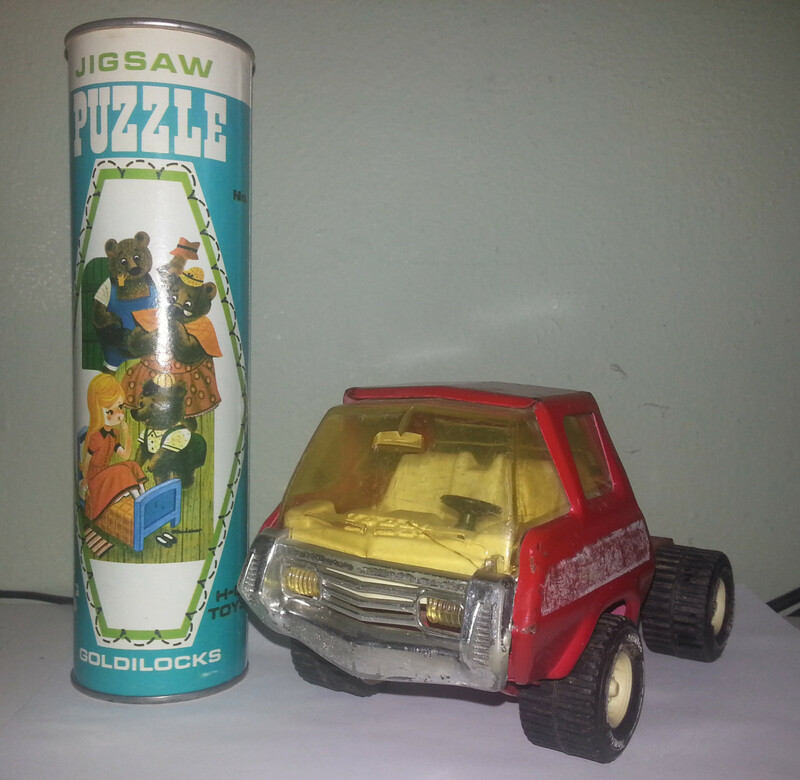 However, here in the USA back in the 1980's and early 1990's, some plastic toy tops may have operated along the same concept, and I remember those well. For those tops, you just stick the rod through the tip of the top, then get the top spinning by "pumping" it with the stick as fast as possible, pull the stick out, and watch it go. As for the Czech top, I have done both English and Czech language searches across the Internet, and haven't found anything about those either. If I do stumble across something, I'll be sure to share it here. Thanks for the feedback magapla. I couldn't agree more with you. Spinning tops are a hobby that never ceases to be interesting, no matter if you're young or old!